At first, I wasn’t too sure about this top when I saw it online, but I added it to my cart and wanted to decide in person. I don’t own anything cropped. But I’ll be honest with you, it was the first piece from that order that I wore out because I fell in love with it! If you’re curious, I’ll also link the other items from that order below. The crop hits right below my waistband, so I don’t have to worry about showing my food baby after dinner. It’s also very comfortable and flowy, and since I’m basically over anything fitted after the holidays I’m a fan of that! 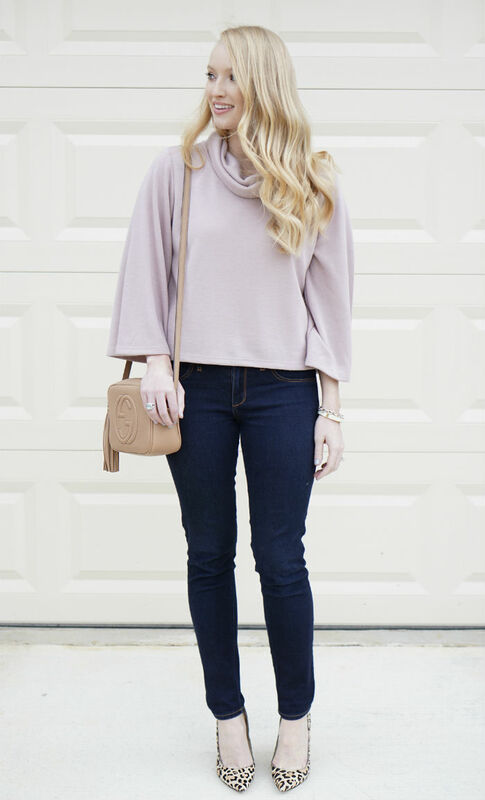 I love the little flare sleeve because if you haven’t noticed the flare/bell sleeve is pretty popular among other bloggers. Fun sleeves add so much interest to your look! 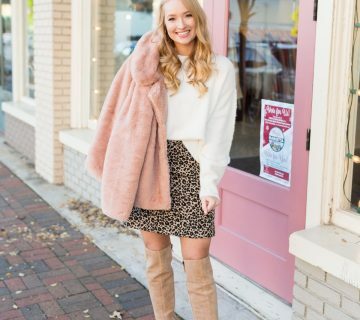 Originally, I wore this outfit for date night with these heels, but since they’re sold out I wanted to re-wear the look with a classic leopard heel that you probably already have in your closet. I couldn’t share as many photos of this look as I would have liked because on this day it was so windy, my hair was just flying in front of my face in most of them! 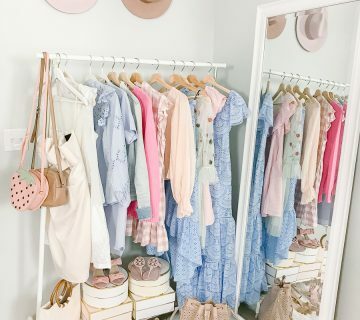 This color looks gorgeous on you! Love the sweater! We're almost bag twins!! 🙂 Such a cute look! You look adorable! I love this top! This is such a cute sweater! I love the color! So pretty! Love the pink sweater! And those shoes! So pretty!! 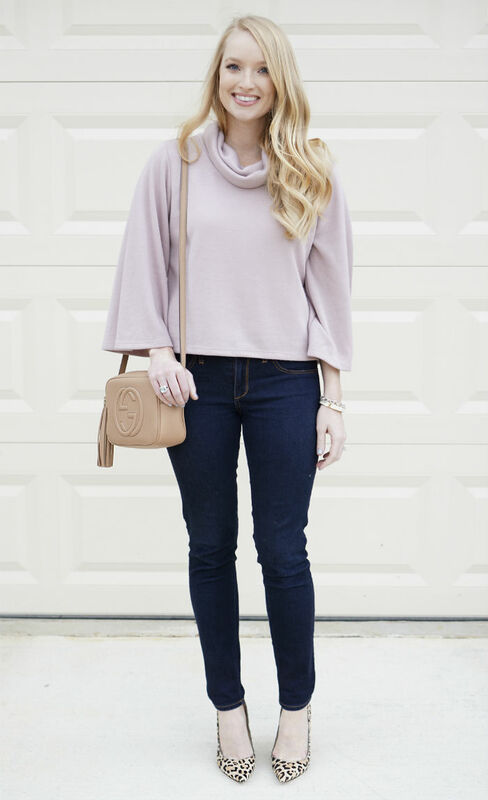 This sweater with that bag is such a great combo ! Such a beautiful sweater. Love the color. This sweater is super cute!!!! And I love your bag! omg this sweater looks beautiful on you!! love the bag too! 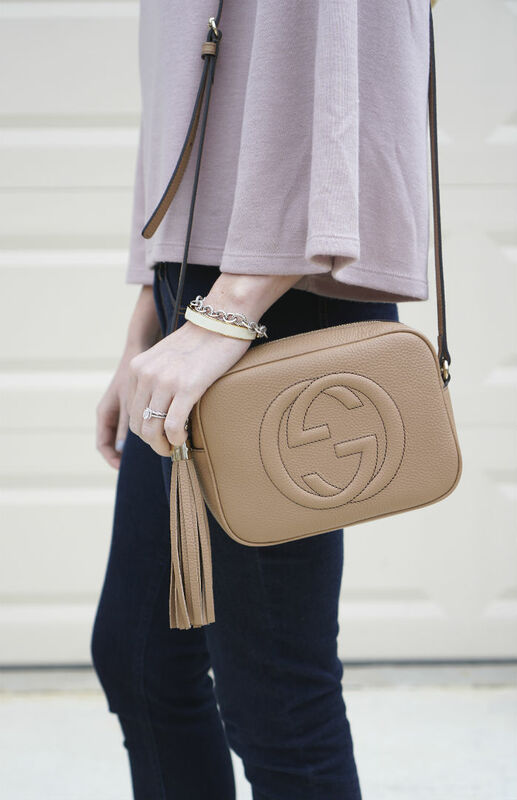 Love this whole look and your bag! I want it!